Dijon clone pinot noir growing in Wright loam soil. Wagner ‘s dark red black wine with a fragrant of chocolate and toast. Mouth of velvety berry, black currant, rhubarb nose b and cherry. Smooth dry cherry and currant finish. An good wine to age. 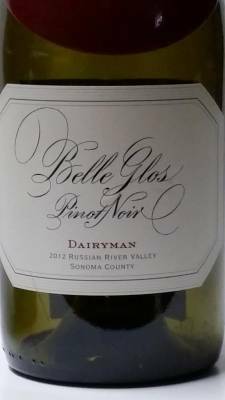 Great California Pinot. 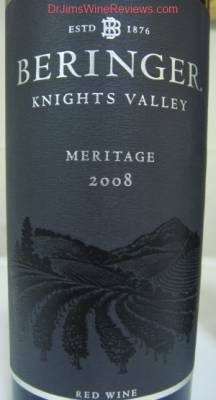 Red Wine: Beringer Knights Valley Meritage, 2008, California. A full nose of earth, stone, mushroom and oak. A plush mouthful of blackberry, coffee, cherry and earth with a nice tart finish. Good meritage. 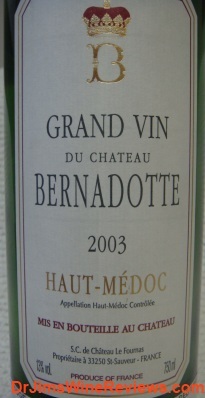 Red Wine: Haut Medoc, 2003, France. Dark Ruby color with a blackberry and leather nose. Tasting of fruit, cherry and blackberry with a long peppery finish. 90 point. A Bourdeau wine from the higher (haut) area of Medoc. Bourdeau wines are a combination of Cabernet Sauvignon, Merlot and Cabernet Franc grapes with the occasional addition of malbec or other minor regional grapes. 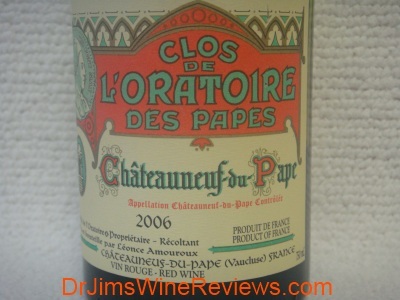 Red Wine: Chateauneuf-du-Pape 2006, France. Dark ruby color with a floral and cherry fruit nose. Flavors of cinnamon, clove and berries. Very well balanced and refined with a long, dry finish.